Dreamplex is the state of the art Shopping Mall with Multiplex covering an area of 100,000 sq ft. This is the first air-conditioned Shopping Mall beyond Kolkata. Big Bazaar, a part of the Future group is the anchor store in Dreamplex. This branded hypermarket chain has stepped into South Bengal for the first time in Durgapur : considered a twin city to Kolkata. 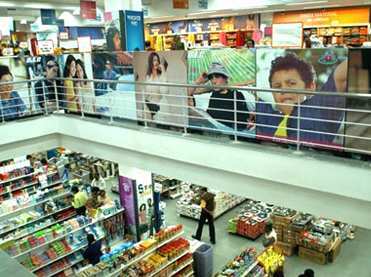 Big Bazaar is spread over 46,000 sq ft in the ground, first and second floor. With a wide range of products, starting from kitchenware to furniture, consumer durables to perishable items at prices lower than the market rate with options of gifts and benefits over and above a specific quantity of purchase, daily shopping has become a pleasure. 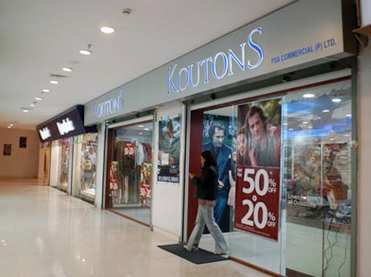 However, the retail boom is not restricted to one super store only, leading brands like Koutons, Hoffman, Moustache, Nik Nish, Nokia, Music World, Linc Pen, M P Jewelers, Archies Gallery, Candy Treats, Citizen are also present. It is truly a shoppers’ paradise. The Dreamplex has a Food Court with state-of-the-art interior décor. One can have the taste of a variety of culinary delights of continental and Indian cuisine in the Food Court. A wide range of mouthwatering snacks are also available here. Kwality Walls is an attraction of the Food Court. The main attraction of Dreamplex is a three screen 933 seater Multiplex run by INOX. The Multiplex has become a lifestyle statement than just a cinema hall. Favorable location, state-of-the-art technology, lavish ambience, customer friendly service at the Multiplex has made it very popular amongst the residents of South Bengal. 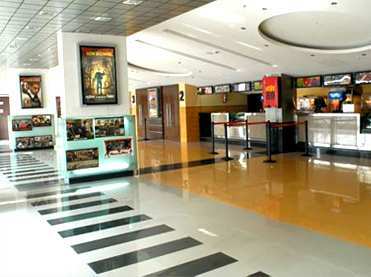 The Multiplex provides reliable and up-to-date cinema listings and a mix of parallel, regional and art movies along with the mainstream, both domestic and foreign alike the Multiplexes in other Metros. A comfortable, colorful and an inviting surrounding heartily welcome to a new experience of life and style at Dreamplex.